Kids' Travel Guide - United Kingdom: Kids Enjoy the Best of the UK with Fascinating Facts, Fun Activities, Useful Tips, Quizzes and Leonardo! Good. Kids' Travel Guide-United Kingdom: Kids enjoy the best of the UK with fascinating facts, fun activities, useful tips, quizzes and Leonardo! : Volume 40 by FlyingKids, 2015-04-22. Trade paperback (US). Glued binding. 42 p. Contains: Illustrations, color. 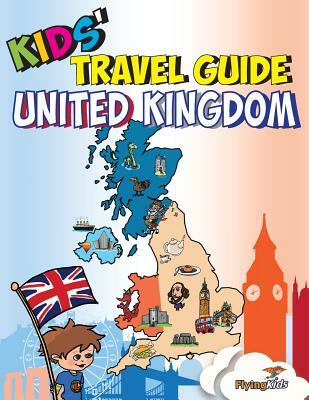 Kids' Travel Guide - UK & London: The Fun Way to Discover the UK & London--Especially for Kids! Kids' Travel Guide - Bangkok: Kids Enjoy the Best of Bangkok with Fascinating Facts, Fun Activities, Useful Tips, Quizzes and Leonardo!